This Autumn/Winter there are 6 key denim trends to keep your eye out for - with fall fast approaching, you may already have seen some of these trends in your local fashion stores. 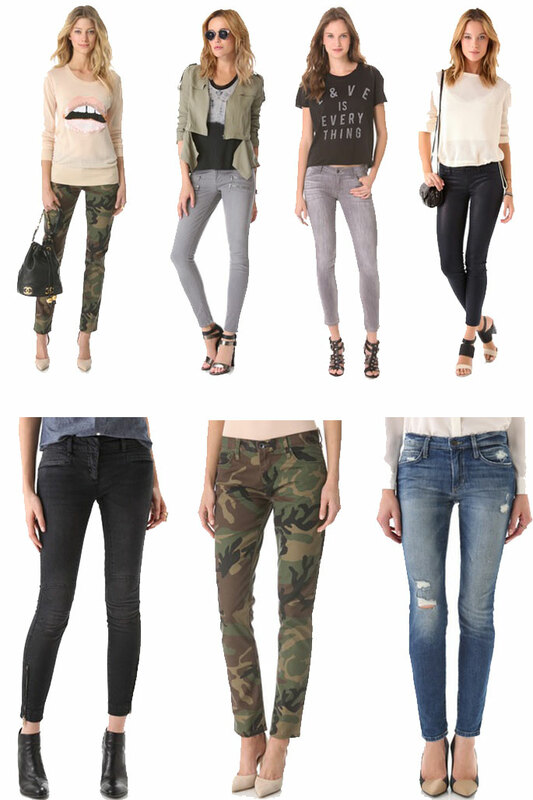 Camouflaged and Khaki style jeans - wear them baggy or skinny. Distressed jeans are back with a bang. Bag yourself a pair of repaired jeans for that modern edge. Think that disco pant look - shiny, leathery looking denim - can be easily dressed up with a pair of heels or down with a pair of flat sandals.